During all our discussions, the father always knew more than me. He was smarter than me and had a way of showing that he knew more than me. At first I admired his experience and knowledge, but after a short time I began to be frustrated. With everything I said, he had to one-up me! I began observing how he acted around others and saw him doing the same thing to everyone else. He knew more than everyone and had to show off his knowledge as much as he could. He basically had to be the smartest person in the room at all times. I realized he was a know-it-all. I quickly noticed that people really didn’t enjoy talking to him because he made them feel insecure and inferior. Not cool, and not a good feeling! Nobody wants to be around people that think they know everything. Know-it-alls seem to have an answer for everything and they are always right, even if they are not right. That know-it-all mentality is very annoying and even a put-off to those they lead. So how can you know if you are a know-it-all? How can you avoid being “that person”? Here’s 10 questions you can ask to see if you are “that person”. It is okay to do these once in a while, but if you do them all the time, you are probably a know-it-all. 1. Do you have a story for every situation in every conversation? It’s okay to have stories to share in given situations. It becomes a problem when you tell your story after the other person and try to “one-up” them. 2. Do you tell everyone what to do without asking for opinions? When you tell people what to do in every situation, you are definitely being a know-it-all. 3. Are you the first one to talk in discussions, then when you ask for people’s thoughts they are hesitant or don’t share their thoughts? 4. Do you argue with people to make your point? These people always argue to get their point across. They also play the devils advocate in discussions just to show that they know the opposing views. 5. Do you always have the best idea and everyone else’s is substandard? This shows a severe lack of humility. It is also a sign of arrogance, pridefulness, and, well, a know-it-all. 6. Do you give people advice even when they don’t ask for it? Advice can be great when you are helping others solve a problem. It becomes a problem when tell everyone what to do and how to do it. It becomes a real big issue when you go beyond just giving advice on work or business things and start telling people what to do in every aspect of life. 7. Do you talk over people and/or cut people off regularly? When you use absolute terms or say “I” a lot, it is a big turn off! 9. Do you use very technical terms, even when you know your audience doesn’t know what you are talking about just to sound smart? It is best to speak on a level that your audience can understand. When you speak with terms or phrases that are above their head or that they don’t understand, they will feel uncomfortable or even dumb. 10. Do you say what’s important to you and then move on to your next activity without listening to others? You may think you are busy and what you do is so important, but it is just as important to sit and listen to what others need to say to you. You may be thinking, “Okay, now that I know the indicators of know-it-alls, now what?” If you are showing signs of know-it-all behavior, now is the best time to change. Take one habit at a time and try to fix it. Do your very best to stop doing that behavior and become better. Also, some of the know-it-all behaviors are okay at the right time. For example, if you the leader in an emergency or urgent situation, it is important to be direct and to the point. You probably won’t have time to ask for multiple opinions and discuss everything before making a decisions. Just don’t do them all the time or in every situation. Be humble and try to listen and learn from others. That humility will help you become a great leader and will gain the trust of those you lead. Before we go, I am going to give a quick recap. Here are the ten questions you can ask to see if you are showing signs of a know-it-all. Do you have a story for every situation in every conversation? Do you tell everyone what to do without asking for opinions? Are you the first one to talk in discussions, then when you ask for people’s thoughts they are hesitant or don’t share their thoughts? Do you argue with people to make your point? Do you always have the best idea and everyone else’s is substandard? Do you give people advice even when they don’t ask for it? Do you talk over people and/or cut people off regularly? Do you use very technical terms, even when you know your audience doesn’t know what you are talking about just to sound smart? Do you say what’s important to you and then move on to your next activity without listening to others? Thank you for listening to this episode of the Leadership Done Right podcast. 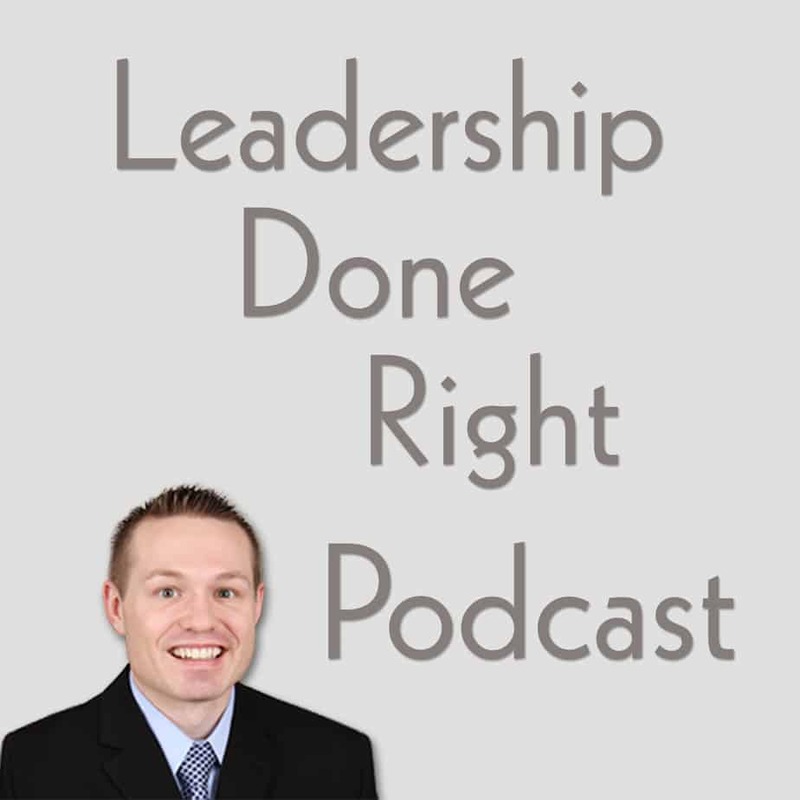 You can check out the show notes at LeadershipDoneRight.com/PodcastEpisode62. I will include an outline of the topics we discussed and related links.